Love under Siege shares the tale of a young woman’s struggles after she overhears a shocking secret and risks everything in a valiant search for her parents, true love, and a new faith. It has been twenty-four years since Violette de la Marne was told her parents were dead. Now as she stands beside her Grand-Pere Philippe’s death bed, she clutches the only thing she has left from her parents— a golden locket and waits for him to take his last breath. But before he does, she overhears him reveal a shocking secret during a confession to a bishop: he has lied to Violette for years, fearing he would lose her to the Huguenots. Her parents are alive. Betrayed by her Grand-Pere and betrothed to a man she does not love, Violette derives strength from the locket, rejects the arranged marriage, and embarks on a determined quest through sixteenth century France to find her parents who may be imprisoned in Paris. Drawn to the Huguenots who promise intimacy with God and assurance of salvation, Violette continues to hope for a marriage built on love, trust, and faith. With the help of God and the handsome rogue, Thomas Montmorency, her search eventually propels her into the immoral and promiscuous court of Henry II and Catherine de Medici where she must hide the truth to avoid persecution and death. Love Under Siege by Sonja S Key was published by WestBow Press in April 2015. 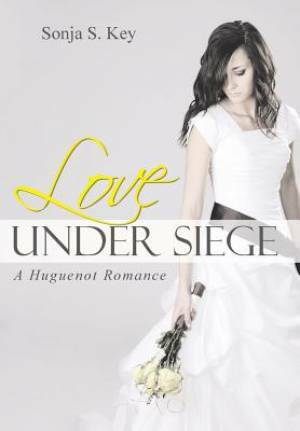 The ISBN for Love Under Siege is 9781490870823. Be the first to review Love Under Siege! Got a question? No problem! Just click here to ask us about Love Under Siege.